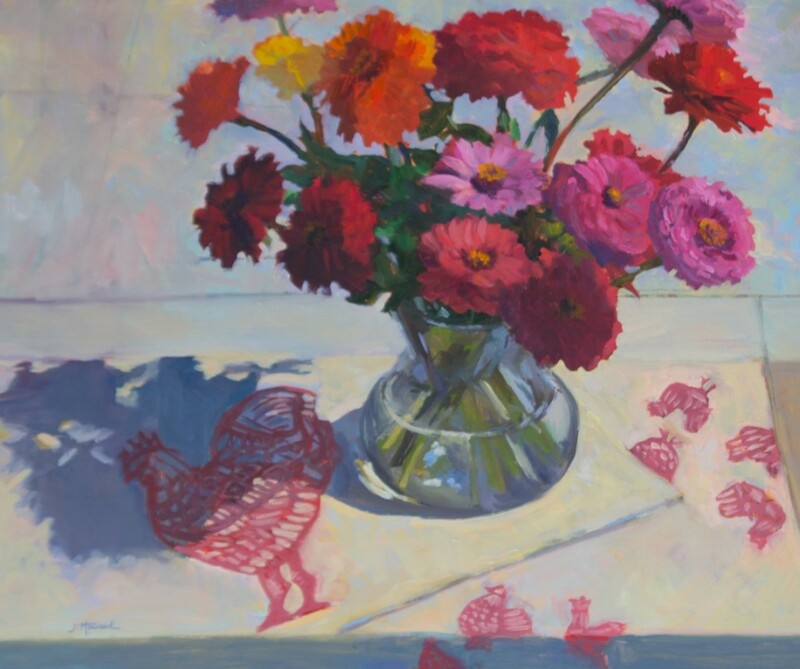 Zinnias with Chickens 24″ x 20″, oil on panel, SOLD. One of the things that is special about this painting is that the chicken images are silkscreen designs of mine. I had done ink drawings and turned them into prints on flour sack towels. I like the idea of layering the imagery. To inquire about a live event painting, commission, or a work of art on this site text or call me at cell : 845-545-2419 or use the contact form.